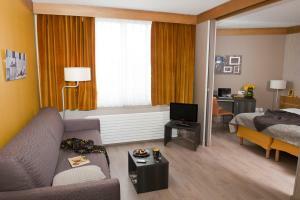 Aparthotel Adagio Paris XV is located in Paris’ 15th arrondissement opposite the Porte de Versailles Exhibition Centre and 3 km from the Parc des Princes Stadium. It offers a 24-hour reception, studios and apartments with free optic WiFi access and the possibility of private parking (upon availability and with an extra cost). Apartments here have satellite TV, a telephone and a private bathroom. 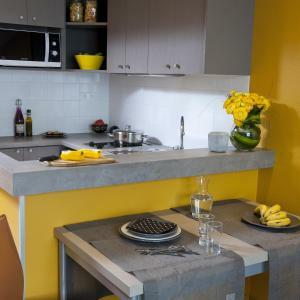 Each apartment has a fully-equipped kitchen with hotplates, a microwave, a refrigerator and freezer for making homemade meals. Aparthotel Adagio Paris XV offers a buffet breakfast in the breakfast room and children from 4 to 11 years old can enjoy it at a reduced rate. Additional facilities include vending machines dispensing snacks and a dry cleaning service. The residence’s lift serves all of the apartments. 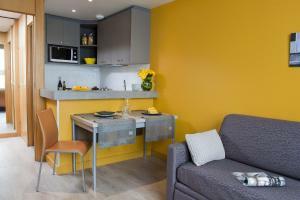 The aparthotel is a 10-minutes walk from André Citroën Park and 600 metres from Porte de Versailles Metro and tram station. They lead directly to sights such as Place de le Concorde and the Sacré-Coeur Basilica. Please note that the airport shuttle service is only available for a journey from the property to the airport. This apartment features satellite TV, a telephone and a private bathroom. 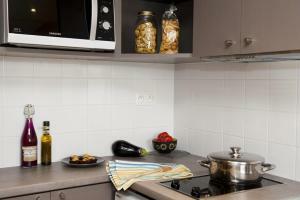 It includes a fully equipped kitchen with hotplates and a microwave. 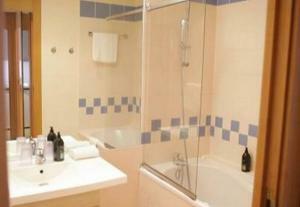 Rate: € 137.80 ... € 223.40; select dates below to get current rates. 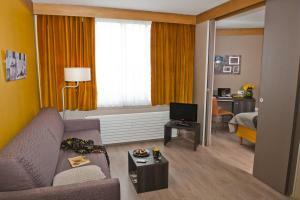 This studio features satellite TV, a balcony, a telephone and a private bathroom. 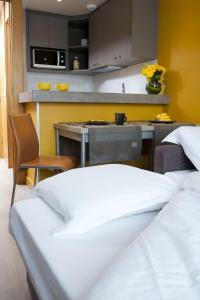 It includes a fully equipped kitchen with hotplates and a microwave. Rate: € 97.34 ... € 261.00; select dates below to get current rates.